Transform your workforce with our Higher and Degree Apprenticeships. Our programmes are a cost-effective, established solution for employers and learners to acquire the latest top-level industry skills and knowledge. 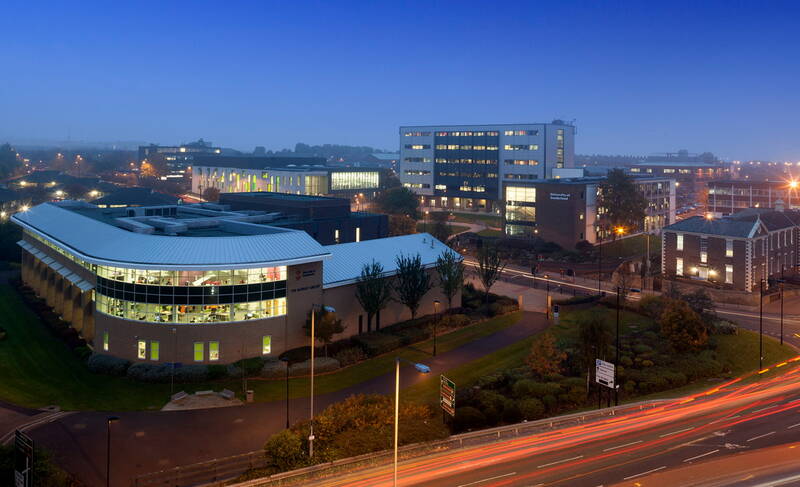 The University of Sunderland is at the forefront of work-based learning. Despite higher and degree apprenticeships being a new provision amongst the higher education field, we have already established a proven record amongst a range of clientele. Not only are companies or individuals able to select from a range of exciting, cutting-edge programmes spanning an array of subject areas, we’re also able to offer companies tailored and bespoke closed programmes so the apprenticeship comprises of exactly what you or your business requires, now or in the future. One of many notable examples of our stature amongst degree apprenticeships is global software company, Sage Group. Newcastle-based, Sage began as a small business and has developed into a multinational company, opting for the Digital Technology Solutions degree which they have been able to tweak along the way. Higher and Degree Apprenticeships are an exciting, contemporary approach to work-based learning. They offer the learner the opportunity to obtain a foundation, bachelors or master’s degree through a blend of work and study. An apprentice will spend 80% of their time at work, with the remaining 20% allocated for study. This method allows students to continue to develop within their sector whilst also obtaining transferrable higher-level knowledge and skills. Higher level apprenticeships are employer-led and focus on the development of the specific skills each sector requires. Upon completion of the work-based course, a level 4 or 5 qualification will be awarded. Degree apprenticeships are a collaborative offer from employers, universities and professional awarding bodies. The work-based approach allows students to gain a full Bachelor’s or Master’s degree through a combination of university study and work. Studying a degree apprenticeship can be a daunting thought and there are many misconceptions which surround them. Our higher and degree apprenticeships offer unrivalled career development, allowing learners to benefit in both their workplace and a university setting. The contact with the University of Sunderland allows students to access world-leading academics, research, facilities and more and transfer skills and knowledge back to their company. Students can also benefit from the University’s support network which provides holistic and effective assistance throughout the apprenticeship and beyond. Throughout the qualification, students will be working full-time for an employer which values staff development. Benefit from a partnership with a University leading the way in work-based learning. Our higher and degree apprenticeships are designed in collaboration with employers so all current and future needs are met. The University’s approach is proudly client-centred, with a quality service and bespoke options offered to all, meaning all programmes are focussed to the needs and specific requirements of your business. Higher and Degree Apprenticeships are suited to both new and/or existing staff, enabling you to attract and develop fresh talent or upskill and stimulate existing employees. Businesses can also benefit from various funding to assist with the employment and development of an apprentice. Government funding is available to assist in covering the costs of higher and degree apprenticeships. The Government operates an Apprenticeship Service which allows employers access to an online portal, from which they can easily select and pay for apprenticeship development. Funding available is determined by the apprenticeship levy, with the levy only applying to businesses with an annual wage bill over £3 million. If your company does have an annual wage bill over £3 million, you will pay an apprenticeship levy which is 0.5% of your total wage bill, minus a £15,000 levy allowance. This is paid into the Digital Apprenticeship System monthly and funds are topped up by 10% by the Government. Funds are redeemable through employing apprentices which can be new or existing employees of the company. If your company does not have an annual wage bill over £3 million, the Government will fund up to 90% of apprenticeship course fees. If your company has less than 50 employees, you can receive 100% apprenticeship funding for learners 19 and upon start of the course. The Apprenticeship levy is a compulsory tax on employers with an annual wage bill over £3 million to help fund the development and delivery of apprenticeships. This is to improve the quality and quantity of apprenticeships that are available. If your pay bill falls within the criteria, you will have to pay the levy. This is calculated at 0.5% of your pay bill. Employers all receive a £15,000 allowance to balance the amount they have to pay. The levy payments will go into the online portal, the Apprenticeship Service. This will enable employers to access and manage their apprenticeship funding and delivery through their virtual account. From there, employers will be able to allocate payments to providers of Government-approved apprenticeships. Our Work Based Learning team are on hand to answer any of your enquiries. Please fill in the contact form or alternatively you can call 0191 515 3361 or email apprenticeships@sunderland.ac.uk. The University of Sunderland is collecting this information in order for you to make an enquiry to the Enterprise and Innovation team. Your information will be stored securely and used only for the administration and provision of this request. Further information on how your data is stored and used can be found in our Privacy Notice. "The degree apprenticeship programme fits our skills requirements very well."